MMS Has Published Job Advertisement For 16 Staff Car Driver Posts, Kindly Request To All Candidates That Read All Important Content Of This Job Carefully Before Applying For This Job And Last Date For This Job Is 02-08-2017. Age Limit - Candidates Applicant Age Should We Between 56 years. Age Relaxation As Per Rules Will Be Applied. For More Information On The Age Of The Posts Published Advertisement. 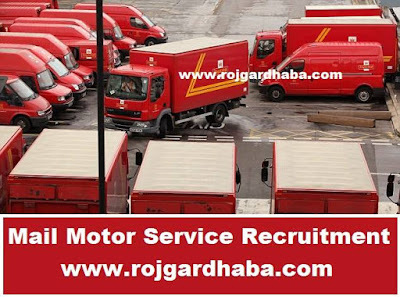 Qualification For This Job :- (10th + Light and heavy motor vehicle driving license + Knowledge of motor mechanism + 3 years of experience + central government / There is a dispatch rider in the other ministry) Valid For This Job,For Whole Information About This Job Read Published Advertisement Copy given below this post. How To Apply :- For This Job Candidate Have To Apply Offline, To Know Address or Send Document and Application Form, See Published Advertisement Given Below In This Post. Selection Process :- For This Job (Driving test) On The Basis of Performance of Candidates Selection Will Be Done.